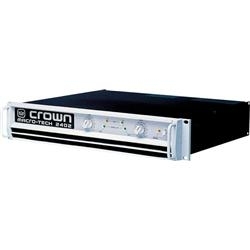 Macro-Tech amplifiers are protected against shorted, open or mismatched loads; overloaded Power Supplies; excessive temperature, chain destruction phenomena, input overload damage and high-frequency blowups. 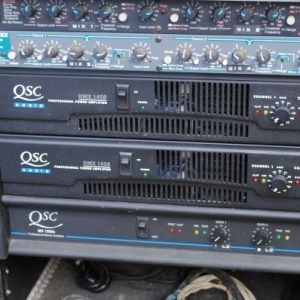 They also protect loudspeakers from input/output DC and turn-on/turn-off transients. If unreasonable operating conditions occur, the patented ODEP circuitry will proportionally limit the drive level to protect the output transistor stages, particularly in the case of elevated temperature. Transformer overheating will result in a temporary shutdown of the affected channel; when it has cooled to a safe temperature, the transformer will automatically reset itself. Controlled slew-rate voltage amplifiers prevent RF burnouts. And input overload protection is provided by current-limiting resistance at the input. MA-2402 - Clean unit in great condition.